Chanteur Bluegrass US né William August Marburg, le 5 Avril 1931 à Riverwood (Maryland). 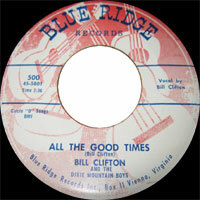 If you attend a bluegrass festival, thank Bill Clifton for having the idea to present the very first one. Clifton was not the most famous of the first generation of bluegrass artists, but he did much to establish the idea of bluegrass as a preserver of half-forgotten songs and styles. Clifton's background was hardly a typical one for bluegrass -- although the players who would populate the distinctive Washington, D.C., bluegrass scene often shared Clifton's professional background. He was born William Marburg to a wealthy family in Riverwood, MD, in suburban Baltimore County. As a child, he became fascinated by country music he heard on the radio. A folk-music enthusiast, he made the obligatory trip to New York to visit Woody Guthrie. 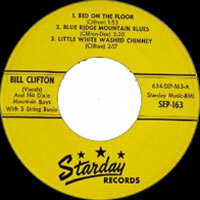 Attending graduate school in business at the University of Virginia, he formed a trio called the Dixie Mountain Boys with folksingers Paul Clayton and Dave Sadler, adopting the stage name Bill Clifton because his family objected to his musical activities. In 1952, the group made their first recordings and enjoyed some regional success. The trio then added banjoist Johnny Clark and began playing more traditional bluegrass music. After signing with Blue Ridge Records, they appeared on the Wheeling Jamboree radio barn-dance program. While there, Clifton made the acquaintance of the Stanley Brothers and A.P. Carter. In 1955 he published a songbook, 150 Old-Time Folk and Gospel Songs, which circulated widely among bluegrass musicians. After a stint in the military, he began recording in the late '50s, releasing five albums over the next seven years. They were suffused with the sentimental imagery of old-time songs, and several singles, including "Little Whitewashed Chimney," became bona fide hits and bluegrass standards. On July 4, 1961, Clifton organized an outdoor "Bluegrass Day" concert at Oak Leaf Park in Luray, VA, featuring a reunion of Bill Monroe's original bluegrass boys, the Stanley Brothers, the Country Gentlemen, Jim & Jesse, and several other top bluegrass acts. Although it was only an all-day rather than weekend-long event, the concert is generally recognized as the first bluegrass festival, as the progenitor of the hundreds of grassroots campground gatherings that flourish annually all over the U.S. and Canada. Clifton's concert didn't make much of a splash with the general public at the time, but key figures in the folk-music world were paying close attention. Clifton himself was hired as one of the organizers of the Newport Folk Festival in 1963, and Carlton Haney, one of the attendees at Clifton's Luray concert, went on to organize a larger event in Roanoke in 1965. From that point on, the modern bluegrass-festival movement grew rapidly. In 1963, Clifton and his family moved to England; he played in local clubs and other small venues around Europe. In 1967 he joined the Peace Corps and spent three years in the Philippines. While there, he visited New Zealand, recording an album with the Hamilton County Bluegrass Band. 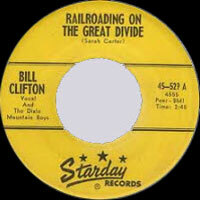 Clifton occasionally returned to the U.S. to record, and also kept recording in Europe. In 1972, he returned briefly to America to play his first bluegrass festival circuit. Encouraged by the experience, he began visiting the U.S. more frequently and recorded more regularly, signing with County Records. 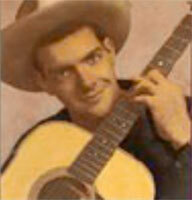 For his third album on the label, he formed the First Generation with mandolinist Red Rector and banjoist Don Stover. After the album's release, the trio toured the bluegrass circuit for the remainder of the 1970s. In the early '80s, Clifton and his family moved to Virginia, where he worked as a businessman. However, Clifton continued to perform at bluegrass festivals and occasional concerts into the '90s. 1967 LP 12" LONDON HAU 8325 (UK) MOUNTAIN RAMBLING - Bill CLIFTON & His DIXIE MOUNTAIN BOYS - Across The Shining River / Forsaken Love / Give Me The Roses / Kust A Smile / Louis Collins / Mother Where Is Your Daughter Tonight? / In The Land Where We'll Never Grow Old / Prisoner's Dream / Sales Tax On The Women / San Juan Hill / Sweet Fern / When I'm With You.